The Asociación Club de Fútbol Real Molinillo de Café First General Assembly, 21 December 2014. I have always been the proud sort, so I never stay where I am no longer wanted. Thus, opting for early retirement was an easy decision to make. I belong to the original jeans and white shirt generation; and if I were a car, I would be of the low maintenance sort. What I am trying to say is that I do not need an awful lot to get by. Simplicity is my middle name. Therefore, the loss of income due to early retirement was not matter of life or death for me. Because the place had become heavily politicised, and I had become weary of the environment, I was also quite certain that I would not find it hard divorcing myself from people I used to work with, excepting those few who were particularly close to me. There was one thing that kept me awake nights, though. It saddened me deeply that there would be no more football; or so I thought. I do not know why I have always been most passionate about this game in a country that has been, over the years, agonisingly slow to embrace its virtues. I just am. Those who have never kicked a football in their lives will never understand how we football players can fall so hopelessly in love with our game. We just do. And we never fall out of love with it. At the time, it sounded like false bravado to lift my spirits up. In time, I would realise how prophetic her words would become. Truth be told, after I retired from work, I was just happy to enjoy the ‘me’ time. In a quirky sort of way, I was even not utterly concerned that I did not anymore have to go to the field late afternoons everyday of week days and stay till it was dark. Except that, outside of the cocoon that I had wrapped myself with, football was growing in this country in a way that I had not thought possible in my own lifetime. But it was. And there was irony in that I had no part of it. Almost a year had elapsed and I continued to look at the outside from within my cocoon. Then one day Nestor Natanauan Jr., one of the two centre-backs of the last high school football team that I trained, asked me on Facebook when I was going to get started with the football club that he heard from somebody I would form. And that when I did, he would like to become a part of it. The funny thing was, I did not know what in God’s blood he was talking about! I must have mentioned something to one his teammates; but if I did, I must have said it in jest, else I would have recalled that I did. To be fair, the boy was nominee-material for the Persistence Award; and kept asking until, almost imperceptibly at first, I was starting to feel the flames of passion for the game that I have always loved begin to reignite. One day, I decided to procrastinate no more and did something about it. The one advantage of having coached hundreds of boys over a three-decade career in the game, as opposed to others who have not really achieved anything, was that I also had hundreds of people whom I could call any time that I wanted to. However, I had years of experience in management and have always been a pragmatist. Thus, I subscribed to the notion of starting small and seeing how things went. There was also another club existing in Lipa that was made up mostly of men whom I myself coached; and I did not want to poach players away from this club. Thus, I was careful to choose only those who were not affiliated with any clubs. 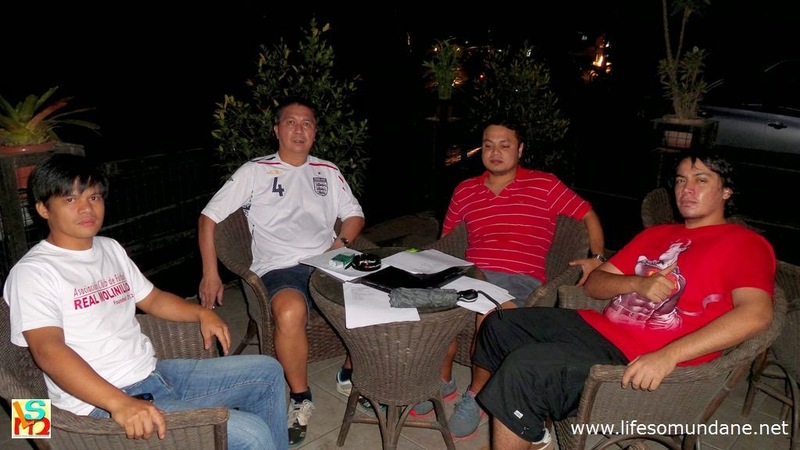 I asked the Medina brothers, Paolo and Joseph Victor, along with Jed Maralit and Gregg Atijon, to meet me at a restaurant on the 3rd of July 2012 so we could all discuss how we could form a football club. Each of the boys was unattached; and each was willing to help me found the football club. I was not aware of it at the time; and it was a matter of pure coincidence that the date of our meeting was also the founding anniversary of the football club that I have supported since I was a teenage boy: Liverpool Football Club. Or was it fate more than coincidence? The ACF Real Molinillo coat of arms. At any rate, I wanted to give our new club a name that would be emblematic of Lipa, the city where we all learned our football; as well as, in a larger context, our home province of Batangas. I did not want to use the name Lipa because it would alienate players not resident in the city. While the coffee blend ‘baraco’ is something undeniably Batangueño, I thought it was more suitable as a moniker than an official name. 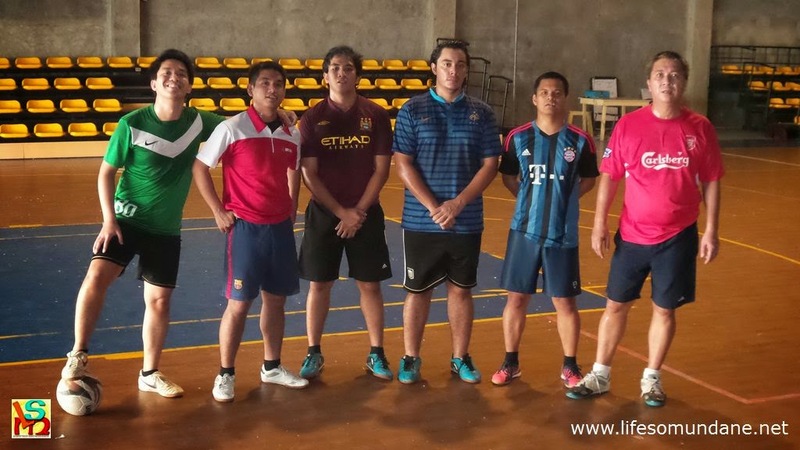 Besides, there was also an unofficial club in Batangas City called Barako FC. What I wanted was a name that would be a subtle reference to Lipa City’s proud history as a centre for growing coffee during the Spanish colonial period. While the coffee plantations have dwindled from the colonial era, the city has not shed its reputation for excellent coffee. 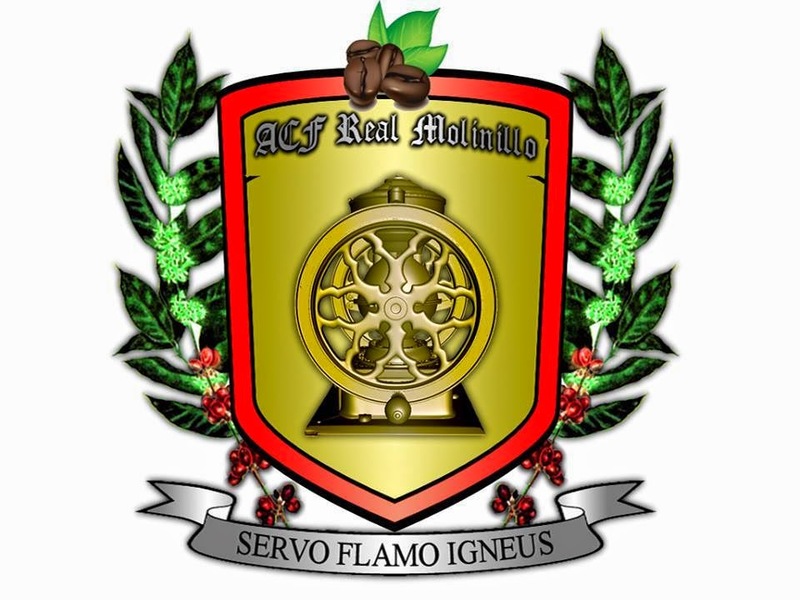 Thus, the name of my new club was to be Asociación Club de Fútbol Real Molinillo de Café – the Royal Coffee Grinder Association Football Club. It is a tribute to the city and the province without being in-your-face about it. That it would not be easy was apparent from the start. For starters, we needed a playing court; but this is Lipa. We do not have an abundance of football fields; and I did not want anything to do with the school where I used to work. After more than a year out of the game, finally back playing, albeit on a tennis court. It was fortuitous that we were so few because Jed volunteered the tennis court of the subdivision his family owns. We had to make do with small goals and no goalkeepers. Not exactly ideal; but after having been out of the game for more than a year, I was very happy to be finally playing again, whatever the circumstance. Unlike varsity football where players are obligated to train, we could not impose on the few players who tentatively joined us because some had school and others had work to consider. There were weekends when we had enough only for two-versus-two. We played on nonetheless. For love of the game! But the first of our big tests came our way late last year. Jed Maralit, one of the founders, and his family were migrating to America; and I did not want to keep imposing on the family by using the tennis court when Jed was no longer around. The core of the club, however, was with me in that we all wanted to keep on playing. So we all agreed that we would rent this indoor venue close by and divide the weekly rental among those who were employed. I wanted us to be sensitive to students who had no income yet and welcomed them to play without them having to pay. Attendance, as before, continued to be variable; and sometimes we just had enough for four-versus-four. We played on, anyway; and sometimes I would have to dish out more money to pay the rent in compensation for those who could not come. First day at our new home, a rented indoor court close to where we used to play. Those who saw the eighties movie ‘Field of Dreams’ will remember the famous line ‘if you build it they will come.’ Something happened in the middle of this year. We do not actively recruit and we definitely do not publicise what we do. But what we were doing must have started to spread by word of mouth among players whom I myself coached; and albeit in trickles, indeed they started to come. Enough, at any rate, to give us the look and feel of a proper football club. Enough, also, to enable us to start a 12-round in-house football league, one that ensures that there will be competitive football every weekend for anyone who is free to attend. We have, albeit tentatively, started participating in one-day festivals. We have a set of officers that meets quarterly and have started to manage the club professionally. Last Sunday, we held our first General Assembly and Induction Ceremonies for officers and members. Not every one of our 50 or so members could attend because of work, school or family commitments; but attendance was still excellent and we had a successful event. I am hoping that now that we have laid down the foundation, we can continue to build the house that will be Asociación Club de Fútbol Real Molinillo de Café. There will be problems along the way. Although we play essentially futsal, the indoor version of the game, there is no absence of clarity in what we ultimately want to be: a outdoor football club. Thus, we need not only a football field but funding to help maintain it. We will need help but will not take it from those who do not share our vision. We have started to manage the club professionally. This was taken during the first officers' meeting. The Liverpools, the Real Madrids and the Bayern Münchens of the world all started as a dream, the same dream that sustains us. We do not know what we will be in one hundred years; and indeed, football clubs can also die like humans do. But you cannot have a tree unless you plant a seed; and a field of dreams will never be unless you build it. As for me, while there is still a long way to go, I am just happy that I am no longer just looking outside from within a cocoon. In the eighties, my high school football teams were among the best in the country and we regularly beat teams from cities which in the present have become football hot beds. Despite our achievements, Lipa continued to be apathetic and never really became a football city like others have.